Police have released new information about a standoff that happened Friday night in Sunrise. Detectives are investigating a deadly shooting following a standoff between police and woman who barricaded herself inside of a Sunrise apartment building. The incident started Friday around 3:56 p.m. at the Waters Edge Apartments located along the 10000 block of Northwest 40th Street. According to Broward Sheriff's Office, a woman, who was identified as Kristen Ambury, 28, was home alone and threatening to harm herself. When officers received information that the suicidal woman was armed, Sunrise Police Department SWAT team responded. Once communication with the woman stopped, officers attempted to enter the apartment to make sure she hadn’t harmed herself. 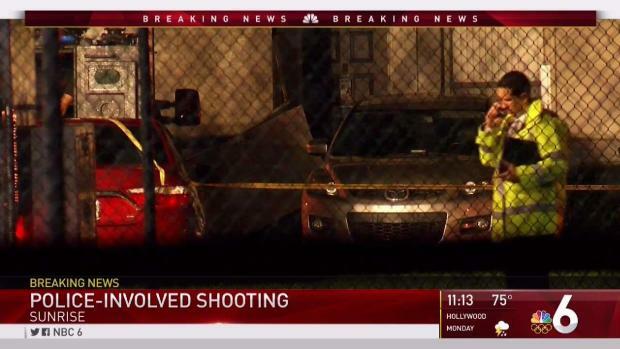 According to BSO, authorities encountered the armed woman and shots were fired. 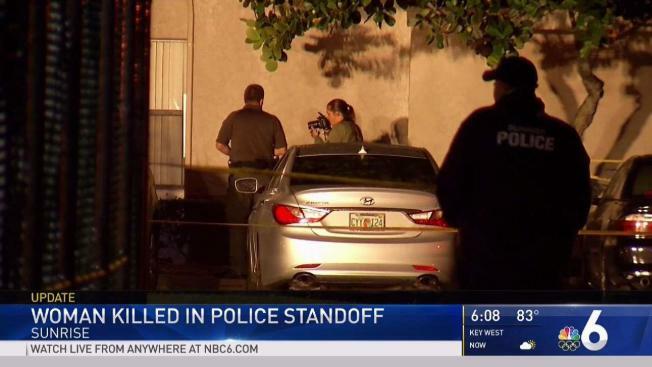 NBC 6 Reporter Michael Spears is in Sunrise, where a woman barricaded herself in her apartment, and was eventually killed by police following a standoff. Police said she died at the scene and no officers were injured during the incident. Detectives are investigating the circumstances that led up to the fatal shooting. A witness who spoke to NBC 6 said there were about 30-40 officers in the neighborhood when she got home at about 4 p.m. The witness told NBC 6 that she watched on her patio as SWAT attempted to get inside the barricaded woman’s home by ramming the door. Eventually, flash bangs were used and the door was rammed with a SWAT vehicle. The witness said she heard five gunshots.